I absolutely adore my city of Amsterdam. It’s beautiful and there’s always something to do. But now that we are all settled and we’re not in the honeymoon stage anymore, sometimes I get antsy. You know…that “I have GOT to get outta here” feeling? We travel a lot — about once a month — to keep this feeling way. It doesn’t have to be far, but it can’t be in Amsterdam! 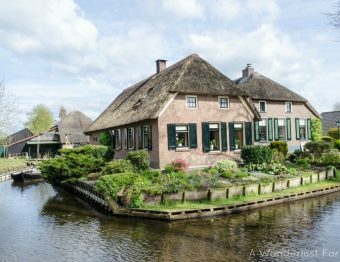 So, how about a little day trip to an idyllic town easily accessible by train from Amsterdam? Sounds like a perfect opportunity to take a day trip to Delft. Sounds like a great time to visit Delft. It has an old town that is perfect to get lost in, find some antiques, and if you’re lucky…chocolate! Yes, I’m starting off with chocolate because it caught me by surprise and it’s CHOCOLATE! As we were walking along taking photos of the charming streets, I saw a chocolate shop. Immediately I made a bee-line for it. Not sure what it was that attracted me, but we are both oh-so-happy we went in. Sean said it may be the best chocolate he’s ever had. And yes, we’ve been to Belgium. This shop that stole our hearts is called Van der Burgh Chocolaad. Get the milk chocolate with the dark chocolate pieces. Then try not to drool while eating it. And if you visit Delft and then visit me, you’ll be my best friend if you bring me a bar…or two. Ok…so there’s a lot more to Delft than chocolate. A heck of a lot more. You may have heard of Delft due to its namesake pottery. It’s super famous! It’s the white stuff with the beautiful shade of blue painted in different patterns all over it. I love it and I love how something so beautiful represents not only Delft but the Dutch as well. A huge square sits between the New Church and city hall. Both of which are beautiful. Seriously, if city halls were this pretty in the U.S. maybe people wouldn’t hate going so much. Anyway, I can only imagine the festivals or markets that might set up on this huge space for the community. While we were there, Sinterklaas made a visit with his helpers, Zwarte Pieten. Yes, he looks like Santa, but the Dutch are very clear that he is not Santa Claus. But the kids were going nuts…and the adults too. Obviously, I had to get a photo! When in Delft, just walk. Find a path and take a stroll. We found an old city gate that was not only well kept and quite a sight to see, but we realized someone lives in it! Can you imagine living in something like this? A few canals snake through the city but we didn’t see anyone using their boat. That could be because it was so cold. It was the end of November after all! Between the canals and the small streets and the cat or two that seemed as curious as we were, it felt like we were discovering an entirely new way of life. One that is calm and quiet. Then, while walking along, we caught something out of the corner of our eyes that just didn’t seem right. Then we realized we’re in Holland and there will always be bikes in the canal. When is the last time you took the time to just stroll along? No, really, let me know! Delft is one of those places that it’s just nice to visit. Don’t feel rushed or like you HAVE to do anything specific. Of course, you can always buy the walking tour map at the tourist office and do that (it’s what we did) if you want some structure. But finding a nice cafe where you can people watch is always the good option…next to being on a boat of course! 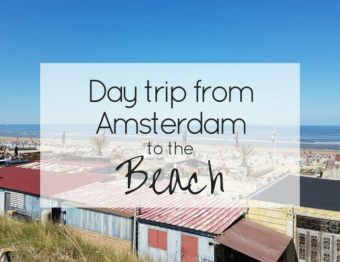 This is an easy day trip from Amsterdam and can even be combined with The Hague and Rotterdam through a group tour! Amsterdam is amazing, but for a well-rounded Dutch experience, we highly encourage you to travel outside the city as well! Pin it for later or to share! Just stumbled across your blog, beautiful photos and interesting stories too! Will definitely be checking back! I can fix that. Come back! Nah, I know you love being out there and exploring. I’m happy that you’re happy! 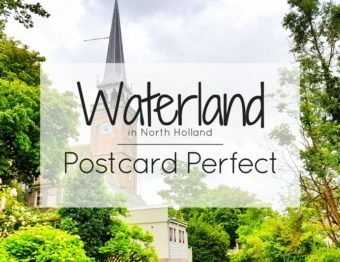 I finally visited Amsterdam last November for the first time, and started making my list for further travel round Holland. Delft would definitely be my next choice. Great write up, thank you ? Nice! I’ve explored the Netherlands quite a lot, but never Delft. To be honest though, you sold me at ‘chocolate’. The reflection of the trees in the canal is so beautiful, well captured! I love the slower pace of life in the Netherlands. I love taking day trips and your day trip to Delft looks so relaxing. Sometimes I like going to places just to admire its beautiful buildings and streets. Delft is one of those towns where I just want to visit a cute coffee shop and walk around and relax. 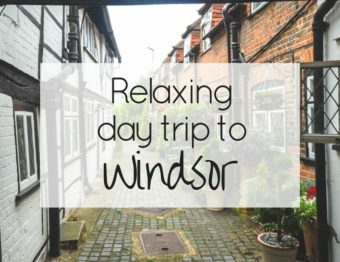 I love day trips in my local area – they’re a great way to both explore your surrounding region and keep the travl bug at bay during times when you’re not away. Delft sounds like a great day trip from Amsterdam, such a charming town!! Dutch Sinterklaas looks fun – I love your photo of the buildings around Groot Markt all lit up – so very Dutch! 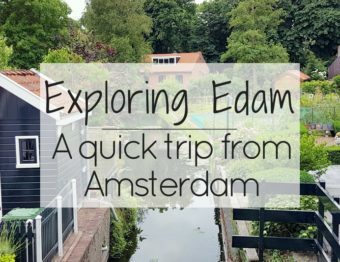 I know what you mean about needing to get out and about, it’s great that there is plenty to do near Amsterdam! 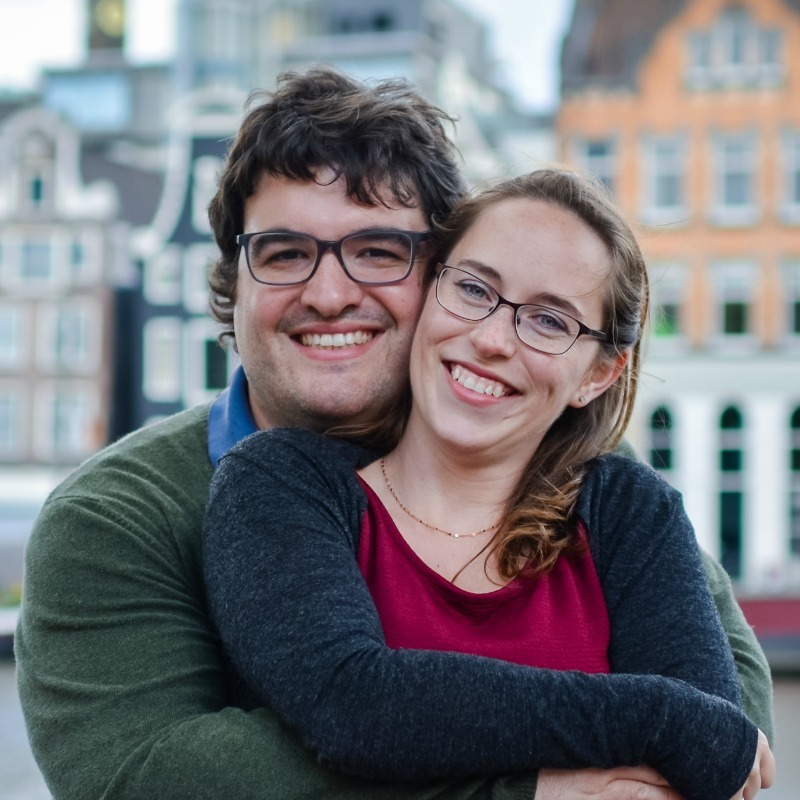 Delft sounds lovely – you had me at chocolate! That guy definitely looks like Santa – red suit, white beard – I’m not surprised the kids went nuts! Nice article thanks. I plan to do a day trip to Delft next time I visit Amsterdam. Where abouts was that pic taken? The pic with the wording day trip… amazing shot! Finally, a city to just stroll and observe life pass by. 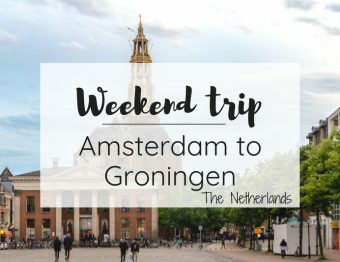 I am planning a trip to Netherlands and Amsterdam looks so overwhelming, so much to do/see/eat! Delft is a much-needed break. Thanks for keeping this post so simple yet touching. Aditi Kapoor recently posted…Why is Italy called a Foodie’s Paradise?